Abundant flora and fauna populate the park. 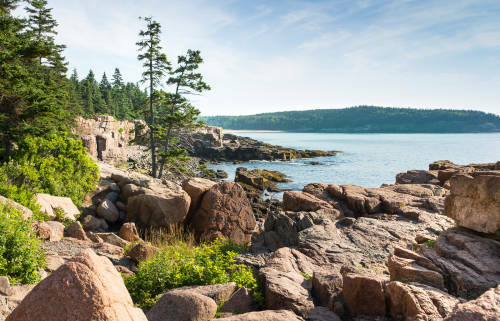 Established in 1919 Acadia National Park is the oldest park east of the Mississippi River. 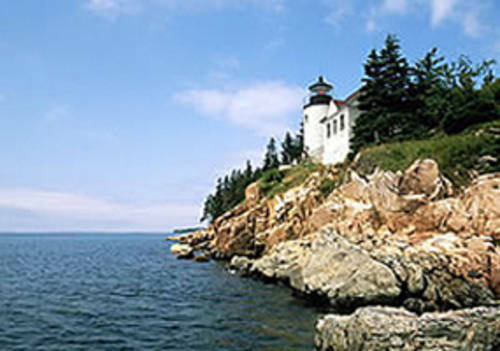 Located in coastal Maine it was first discovered in the 17th century by the explorer Champlain. Four centuries later the landscape remains largely unchanged. While the park itself is only one percent of the landmass of Maine, it contains fifty percent of the state’s native vascular plant species. These rich florae support a variety of wildlife available for viewing such as black bears, iconic moose, beavers, deer, and fox. Peregrine falcons nest in the park each summer, and for their protection, some of the park’s trails are closed during this time. The Atlantic Oceanside is located on Frenchman's Bay on 14 acres of lush lawns and gardens. If you are looking for a vacation of relaxation and pampering, the Atlantic Oceanside is the destination for you. With sweeping views of Frenchman Bay, The Bluenose Inn is the perfect hotel accommodation choice for a memorable vacation on Maine's famed Mount Desert Island, home of Acadia National Park.